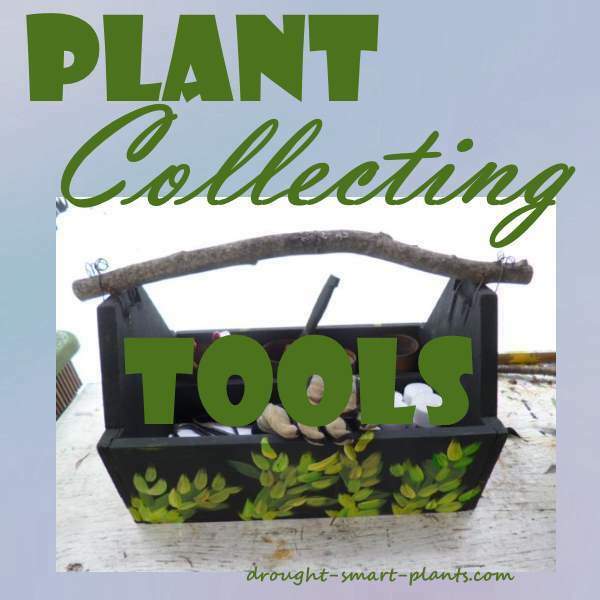 How many times have you been offered cuttings or plants from a friend’s collection or garden, and had nothing to cut with and nothing to put the plants in? After doing it wrong many times, I now take a plant collecting kit with me at all times. I take it whenever I go to a friend’s house, or on a garden tour or plant exploration especially if I know they have a coveted plant collection. I go prepared to take cuttings, dig up specimens, or divisions if offered. Whatever happens, I have it covered. This kit is kept in a place where I'll remember to grab it on the way out the door - which is hardly ever planned. 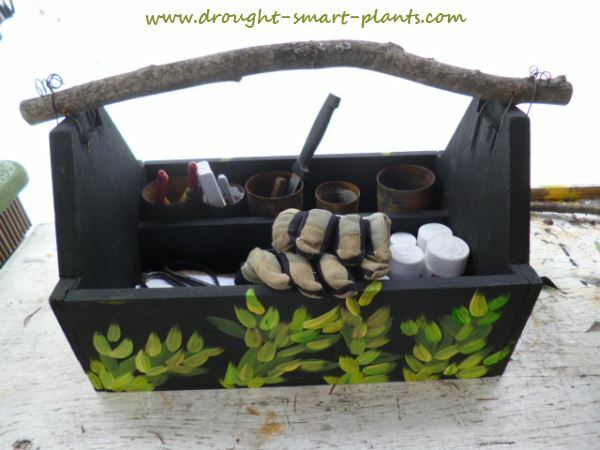 I carry all this in a tool kit or twig handled trug like this one, ready at a moments notice. If you have room, keep a kit like this in your vehicle. Plastic bags – vegetable or fruit bags from the grocery store work great for this. Larger plastic bag to put plants on if they have lots of soil attached, such as daylily clumps or tree seedlings. Pots or coffee cups to put plants in. Pill bottles (complete with silica gel packages!) to put seed pods in. Sturdy work gloves, or surgical gloves. Small bag or container of sterilized potting soil. Pop bottle or spray bottle or other container to water plants. Newspaper to wrap cuttings in – dampen this with the water first. Paper bags, envelopes to put seeds in. Large flat or box to place the packaged plants in so as not to crush them. Labels and a pen or pencil to write name tags for your treasures. Be prepared to hurry right home; don’t leave your precious plant collection sitting in a hot vehicle for even a few minutes unless you carry a Styrofoam cooler with a cold pack. Most plants are very forgiving of some abuse, but the faster you deal with them and get them watered in, the better they’ll grow. I’ve had some great plants offered to me over the years, and the best success I’ve had was when they were packaged right away and taken home. Make time to deal with them, or keep them in a cool place until you can. 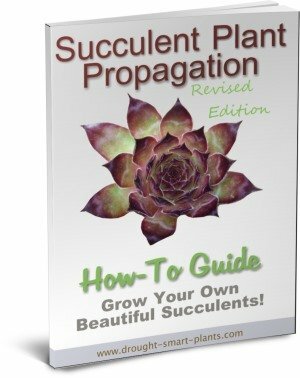 Do you love propagating and growing plants?